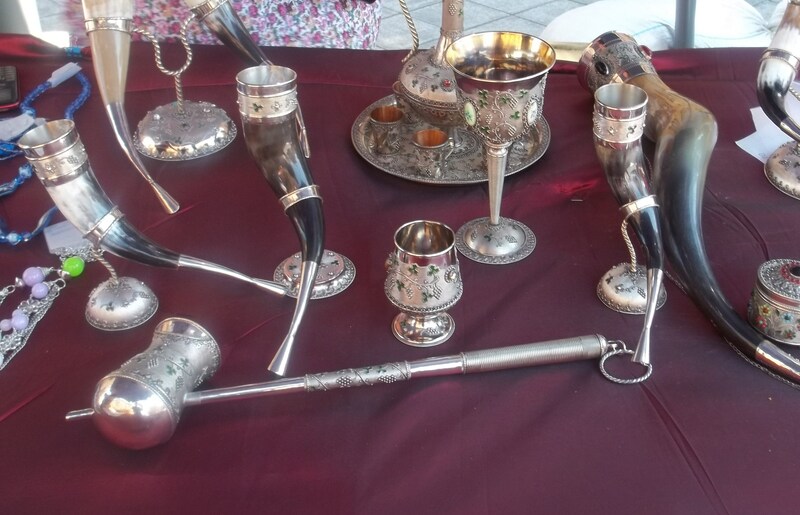 We attended the “Kartli Wine Festival” in the city of Gori (Georgian: გორი) in Shida Kartli region in eastern Georgia. 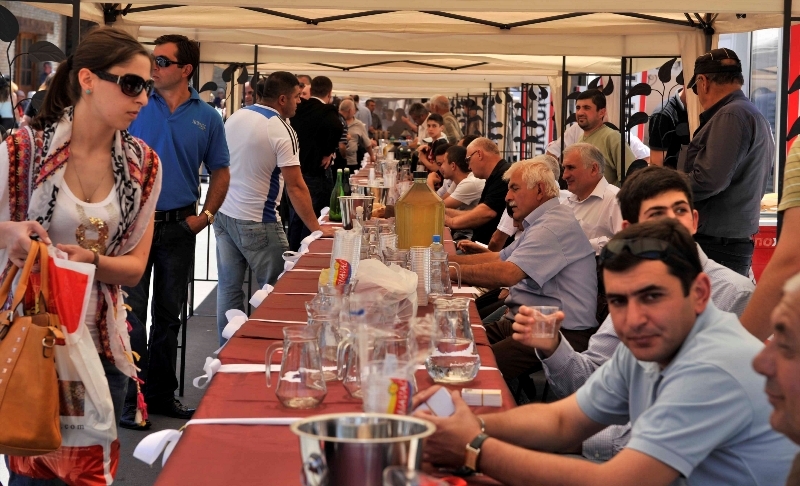 The event aimed to promote and popularize Kartli wine. 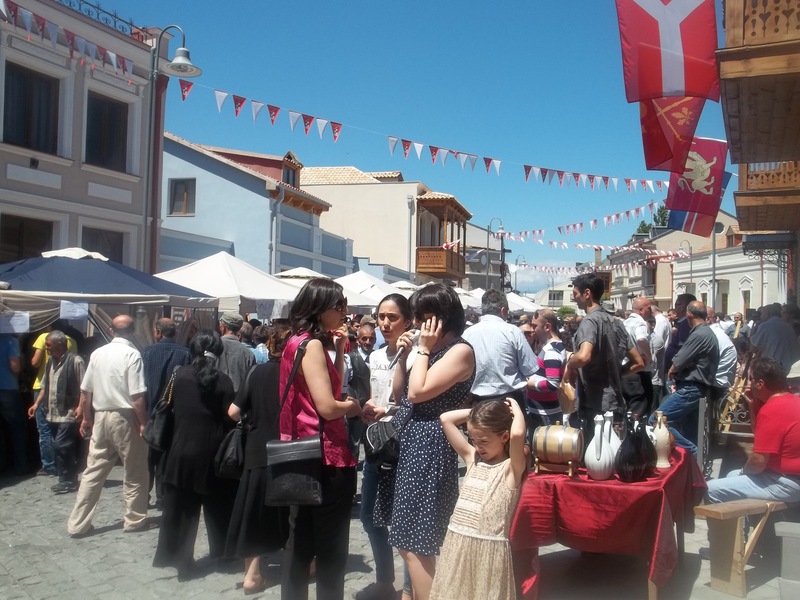 Visitors had an opportunity to speak to local wine producers, taste the wines, browse stalls displaying local crafts and also enjoy traditional music and a barbecue. 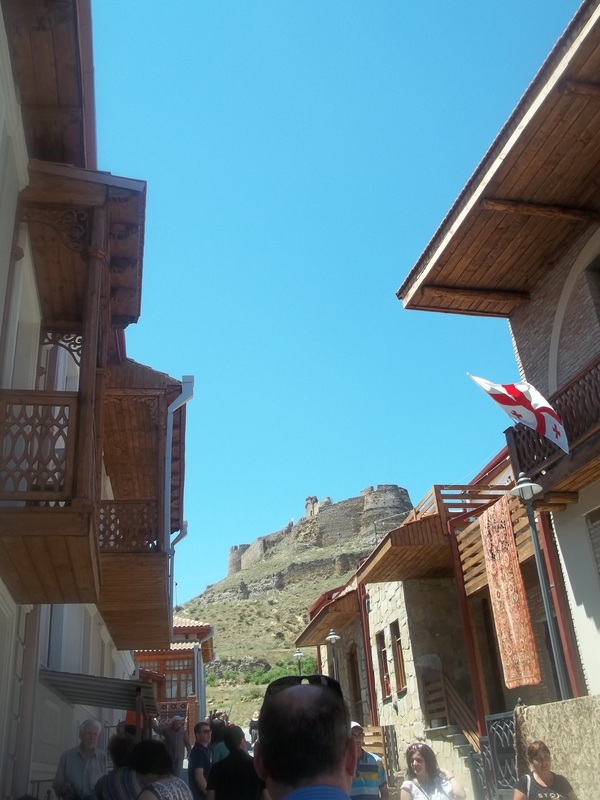 The festival was held in Tseretesli Street, which is overlooked by the 13th century Gori Fortress. 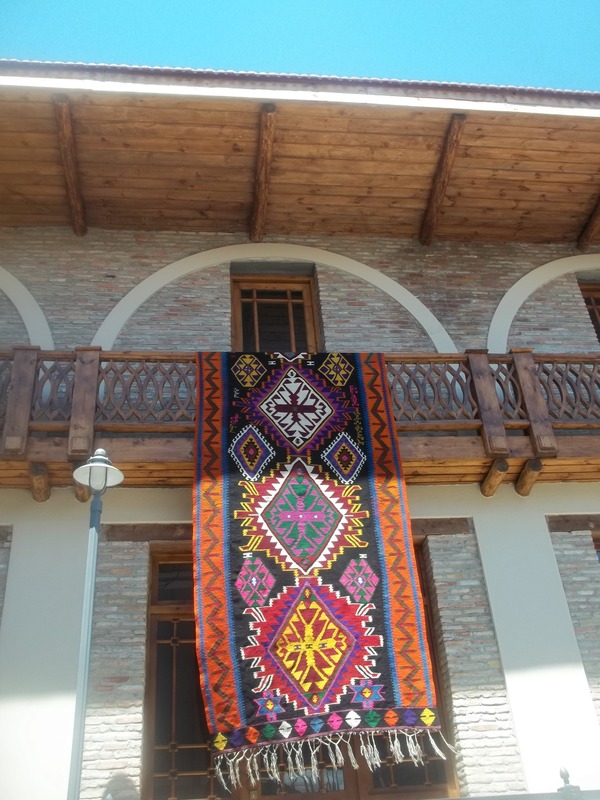 Tseretesli Street is one of the renovated areas of Gori and its beautiful buildings had been decorated with flags and bunting to celebrate the festival. 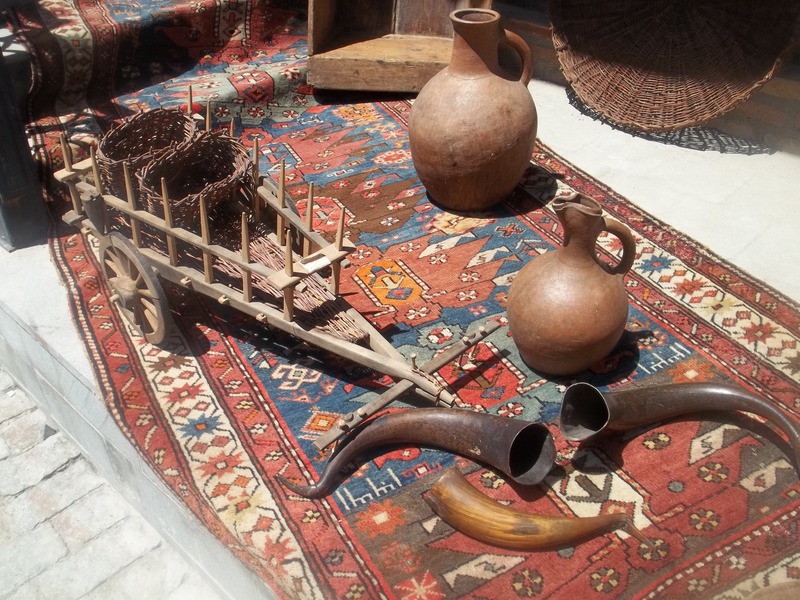 Traditional carpets were also displayed by residents. 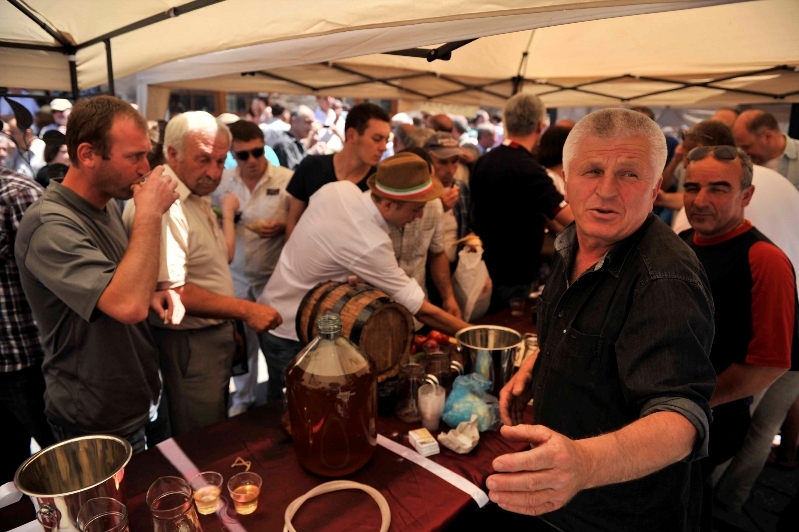 Shida Kartli region produces many notable European style wines, including high-quality sparkling wines, and the festival was an opportunity to promote these. 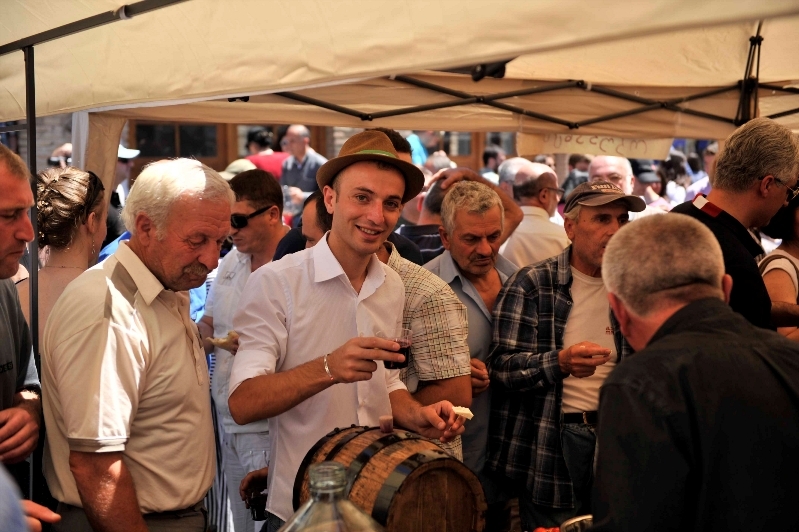 White wines include Chinuri, Goruli Mtsvane and Budeshuri. 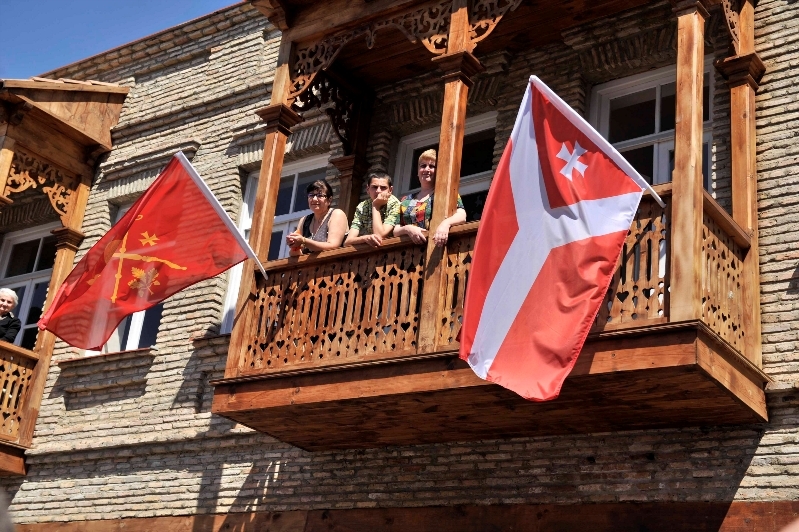 Notable reds include Tavkveri, Shavkapito and Saperavi. 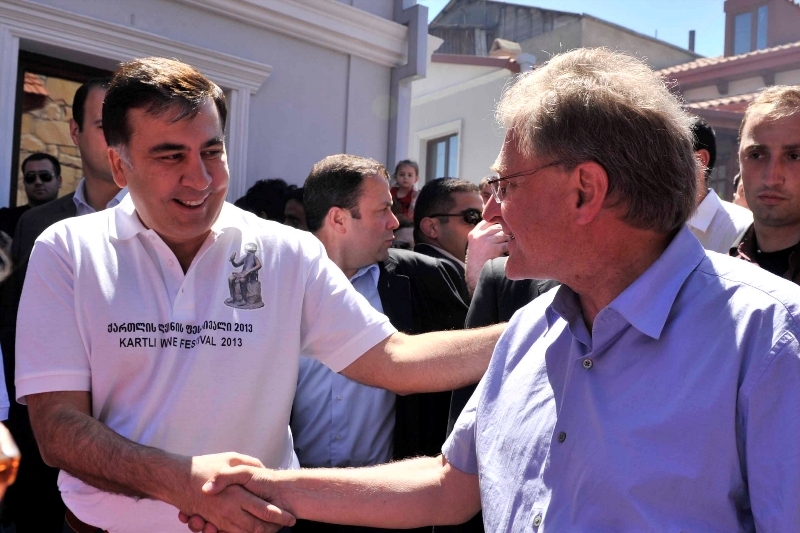 The President of Georgia Mikheil Saakashvili and the U.S. 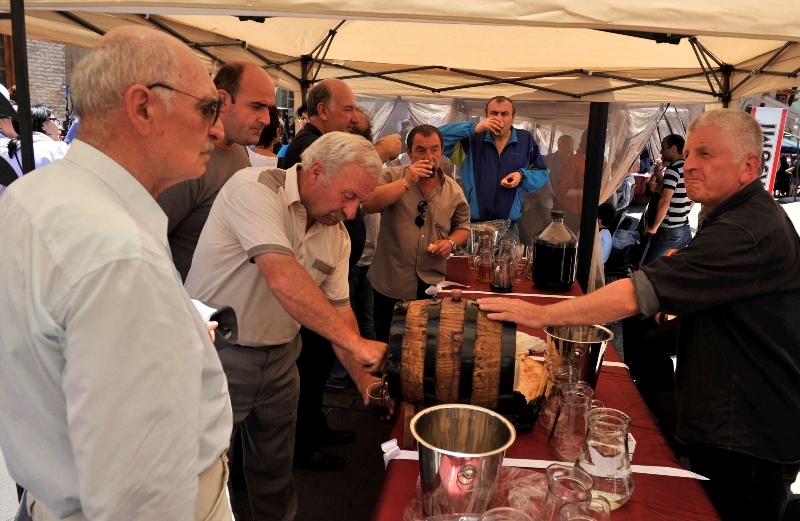 Ambassador to Georgia Richard Norland attended the festival and spoke to the local wine producers and sampled wines. 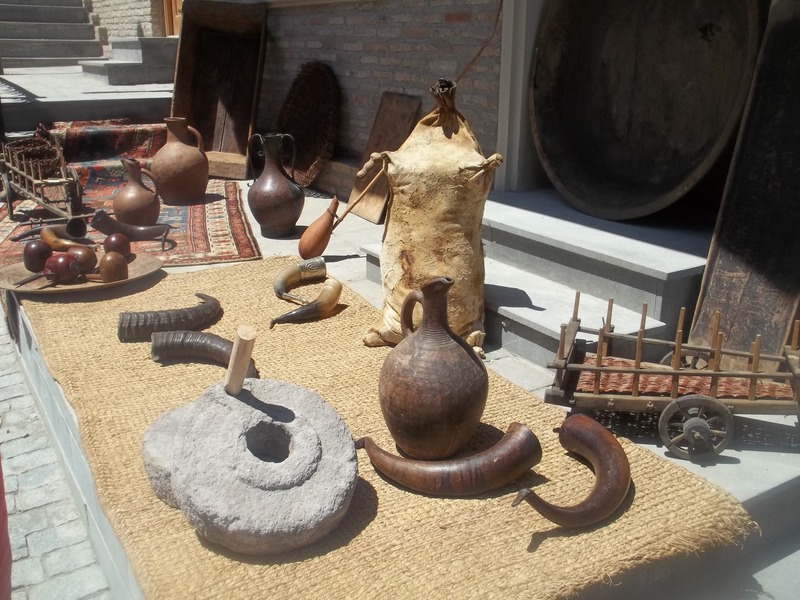 The festival included displays of wine-making materials, including traditional wineskins, wine jugs and drinking horns. 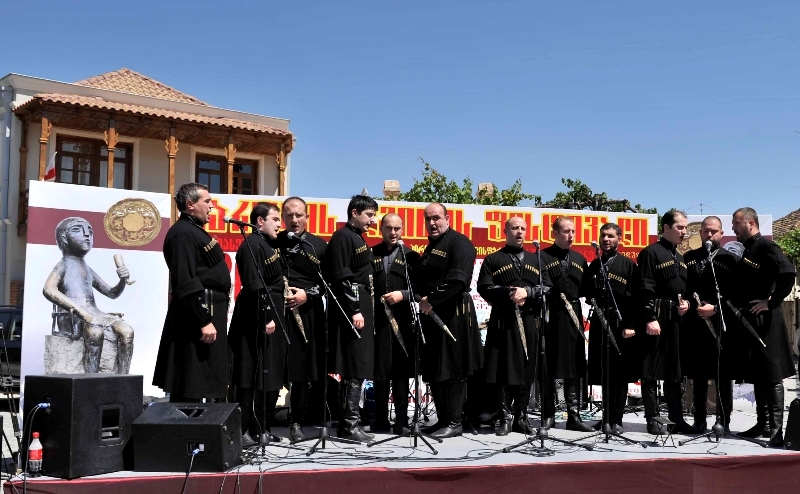 Visitors were entertained by traditional Georgian music and singing. 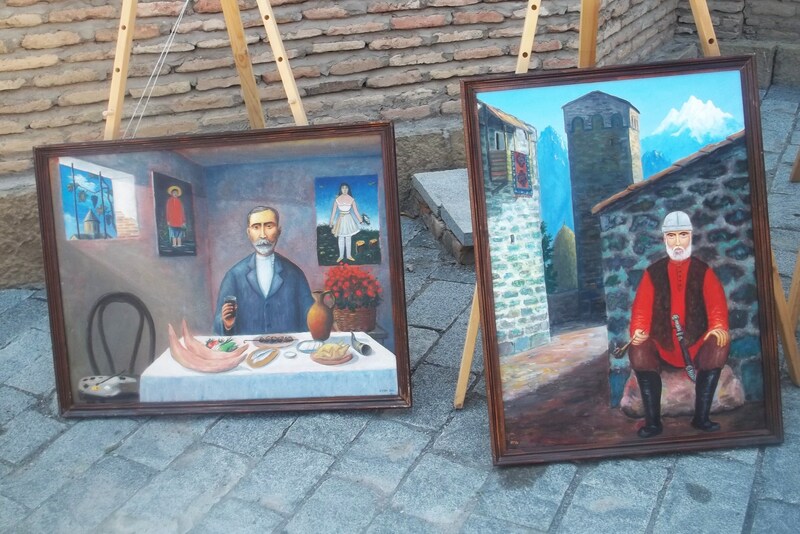 In addition to the wine stalls, Tseretesli Street was filled with stalls offering locally produced crafts and artwork. 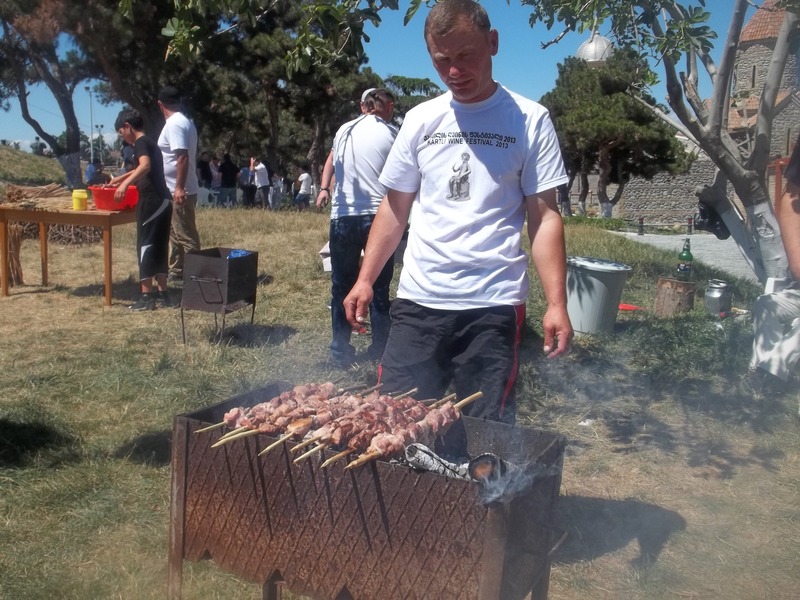 A barbecue area was kept very busy! 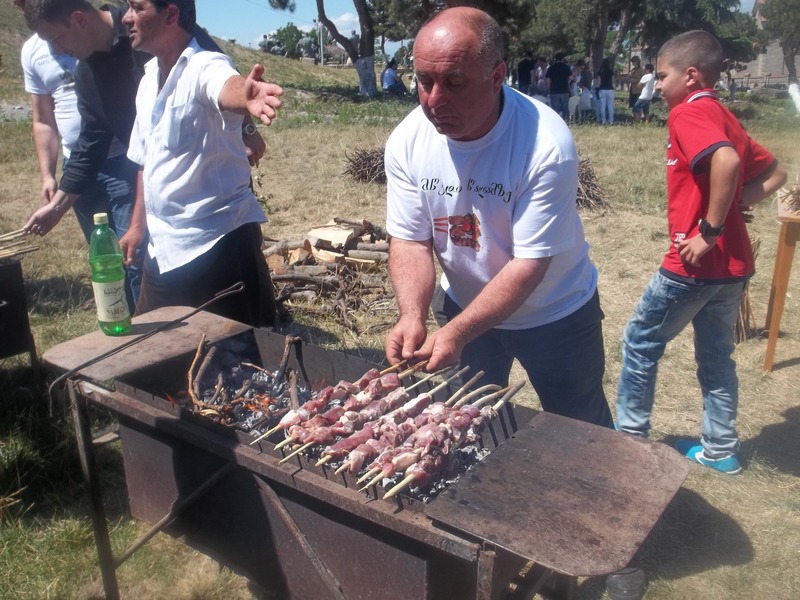 Sunshine, wine, traditional song, barbecue and the wonderful hospitality of the citizens of Gori made the Kartli Wine Festival a perfect day!